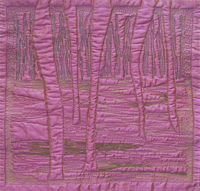 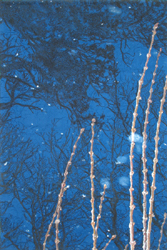 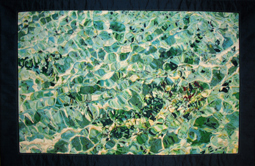 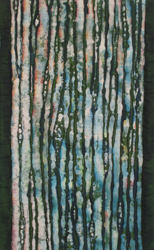 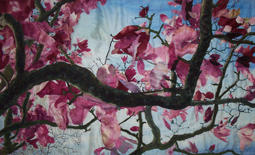 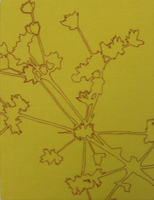 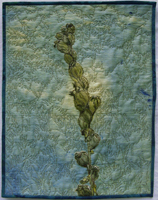 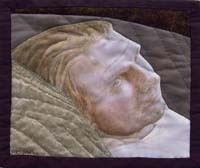 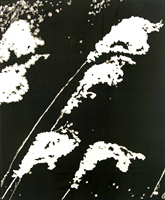 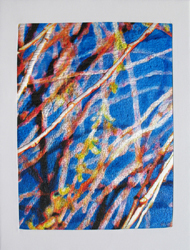 Exhibited with Studio Art Quilt Associates juried show, "Unbound". 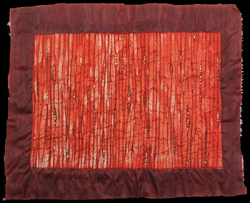 Width 44 1/2"--Height 35 1/2"
Red silk discharged, painted, gold leaf applied, quilted. 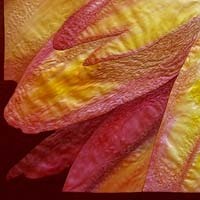 Pattern taken from photo of Pine enlarged at 150x. 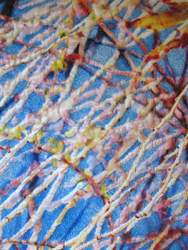 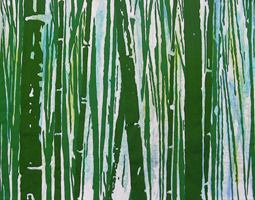 Pattern comes from a microscopic view of Pine enlarged 150 x. 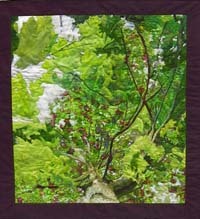 Issue 19, Fall 2005 - "Judge's Choice"
Width 10 1/2"--Height 8 1/2"